Wonderful western historical romance. Catherine Anderson really can weave a great story with heart pounding action and a tender passion between two very different people. I really enjoyed this one, and I plan to continue to read more in this series. My only negative was that I listened to this one on my iPod, which I honestly would not recommend. I wish I read it instead of listened to it. 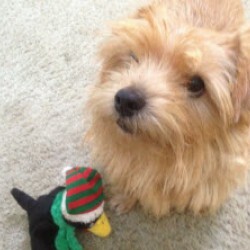 Although the story itself was amazingly good, the reader's voice left much to be desired. At times you can hear her swallow and smack her lips, but most annoying was the voices for Hunter and Loretta. The dialog was read sooooo slow and didn't flow well, and it was hard to imagine Hunter as a warrior when he sounded like an alien learning english. I've listened to a few hundred of books so I can easily seperate story from the readers voice if need be, but this one was a stretch even for me! 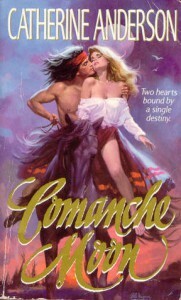 When I read Comanche Heart it will be the book version.